One of the elements that parents should pay special attention to is the baby’s vision, since the baby cannot know if his vision is normal or not. Therefore, we offer a series of data to take into account to recognize problems in the vision of your child, so that you can treat it as early as possible. It is therefore imperative that parents be aware of any anomalies or problems in the eyes of their children from birth. The vision is the most important sense that the eye is the organ that makes it possible for the human being. From birth as we grow, the vision lets us to relate to the world around us. That propitiating our learning and our physical, mental and emotional development. Hence, the importance of giving special care and attention to any discomfort or abnormality that may arise during the first months of life. 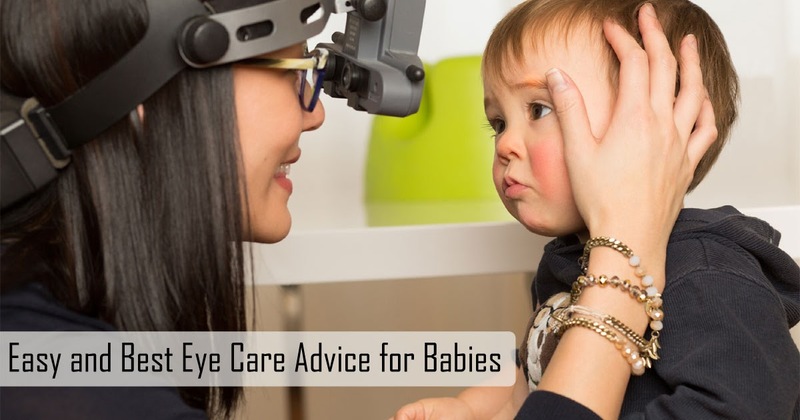 You have to be focused, but not passionate, because in the first days in the hospital pediatrician makes the baby routine reviews, only the medical professionals usually value the eye and eye health. Fortunately, in addition, most of the eye problems that appear at early stage, even the most serious ones, can be successfully solved if they are treated on time. During the first few years of the baby’s life, his eyes are making connections with the brain. If the vision of an eye is blurred may suffer from strabismus or squint that can lead to amblyopia. Amblyopia is a condition in which the eye has problems with vision and usually presents very often in childhood. Should Eye Exams Be Done? Indeed, specialists agree that parents take their babies to a specialist around 6 months of age to check their vision and repeat the test at 18 months. This is of vital importance because some children do not develop obvious symptoms of myopia or other problem, so checking them from time to time will ensure that you identify the problem early and can be treated. What Symptoms Should Be Taken Into Account? Does Ultraviolet Light Damage The Eyes? As with the skin, ultraviolet light can damage the eyes. It is best to buy special baby sunglasses and wear them whenever they are in places where the baby receives sunlight directly and for a long time. This post is not Ophthalmologist Suggestion for any kind of medical treatment or else. Always visit your near hospital for any kind of Medical issue. The post intention to rise of awareness for baby’s vision, so that they could get proper medial support before to serious one. You can also visit to more information of Healthy Eye Care getting more information. Previous articleWhat is a Fidget Spinner Toy? – Does this end the stress? Next articleHow efficient are Legal Steroids in Building Muscle?